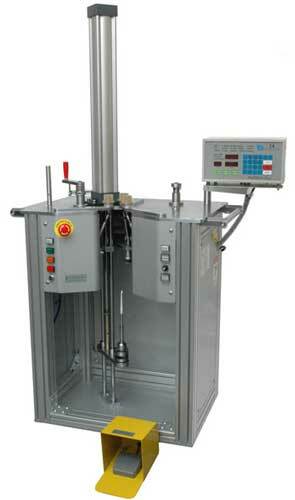 Toroid hook winding machine (pull winder) for toroidal filters, chokes, ballasts, etc. WH-200. Digital controller capable of holding data for 999 winding operations, Fully programmable pitch per turn (wire spacing). Start position, winding direction and segment winding angle programmable. Hook winding (a.k.a. 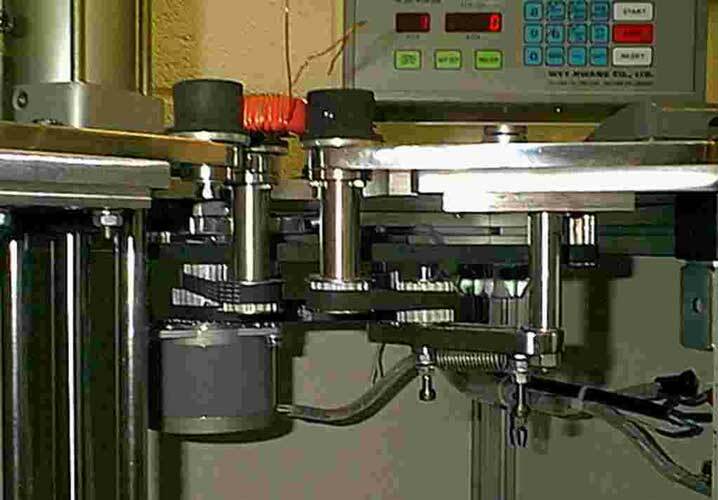 pull winding) is a useful technique for manufacturing toroidal products where the Inside Diameter (I.D.) of the toroid is too small for a conventional shuttle or magazine to pass through it. A pre-cut length of wire is pulled though the centre of the toroidal core by means of a hook driven by a pneumatic cylinder, the stroke length being adjustable by means of magnetic sensors. 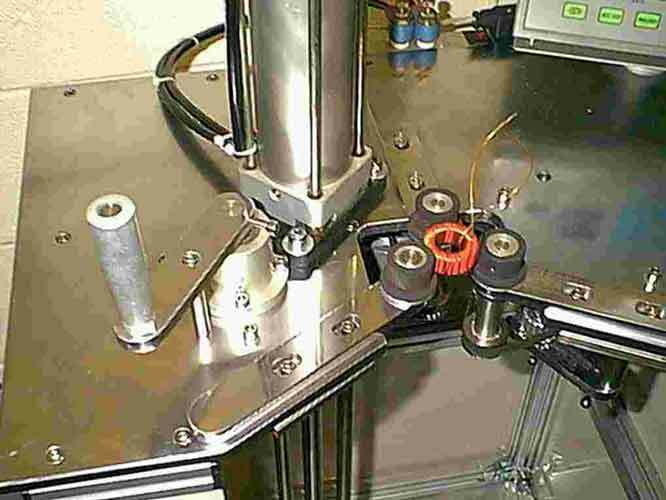 The CNC unit automatically rotates the core of the toroid as each turn is applied. 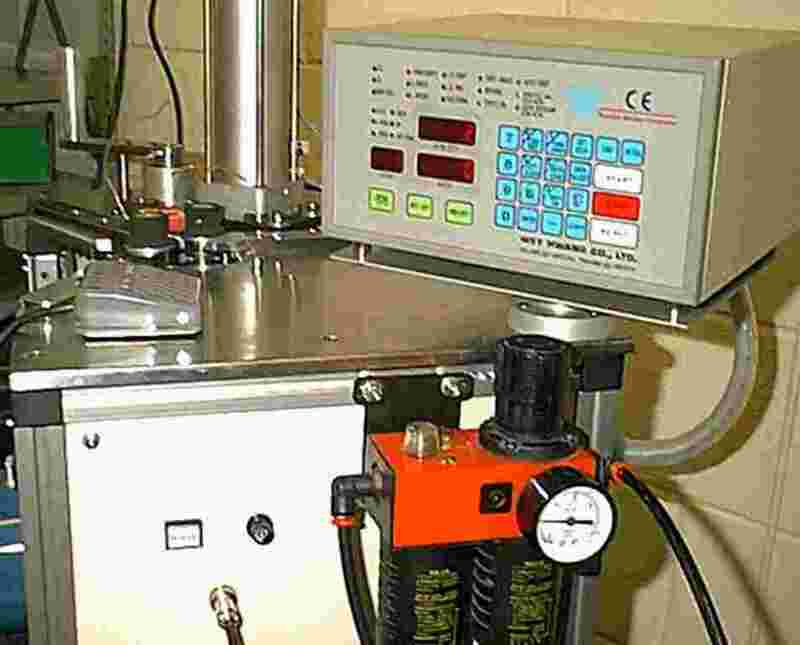 Since there is no requirement to pre-load wire onto a shuttle before winding the wire onto a toroid, this winding method can often be faster and more efficient than conventional toroid winding machines for production of toroidal devices with low turns count and large wire, e.g. many chokes, filters and ballasts.